Three dimensional perspective - a country setting - Decorative Magnolia trees and whimsical birds set against a picket fence for the peaceful feeling of home. A wonderful representation of the classic styling of the late 1970s and early 1980s. 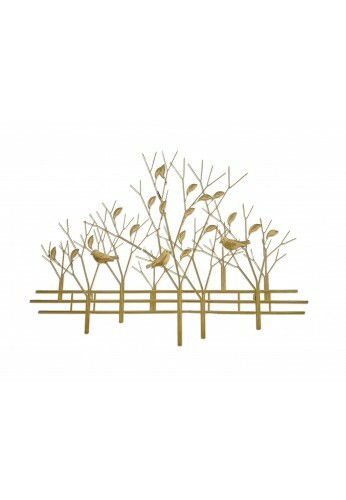 The Magnolia Tree & Birds gold metal wall sculpture is large enough to take center stage amongst your home decor. Each piece is artfully handcrafted by metal arts experts skilled in the ancient trade of metallurgy. 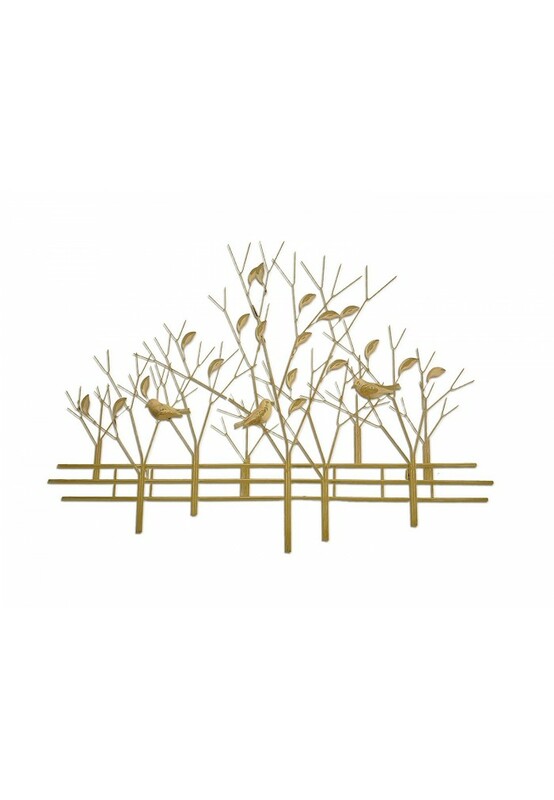 Late Mid Century Modern style enthusiasts will revel in this piece of wall decor recreated in the style of designer metal sculptures for the look of your well-designed artisan house.